Are ​you a flute student in middle school or high school? If so, you are invited to join us for UW-Madison Flute Day on February 11, 2018! 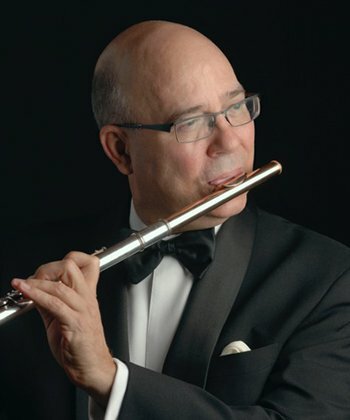 The schedule includes performances by our fabulous guest artist, flutist extraordinaire George Pope, as well as by UW flute professor Timothy Hagen and the UW-Madison Flute Ensemble. In addition, participants will be offered a brief seminar on making practicing more effective and enjoyable. Most importantly, there are opportunities for participants to perform in master classes and mock auditions in preparation for WSMA Solo and Ensemble Festivals and other solo performances. There will also be ample time to visit our exhibitors, including J. L. Smith and Flute World! All participants are invited to perform a mock audition and receive feedback from members of the UW-Madison Flute Ensemble. However, space is limited, so register now. If you would like to perform in one of the master classes, please email Professor Hagen by ASAP at tmhagen2@wisc.edu. Include a brief note of recommendation from your band director or private instructor. Due to operational concerns, registration is mandatory for all middle and high school participants, whether or not you would like to perform in a master class or mock audition. Online pre-registration will be free at the link below through Saturday, February 10. You may register at check-in on the day of the event for a fee of $25 per participant. College students, adult amateurs, and professional flutists are invited to attend and audit at no charge, without pre-registration. The full schedule for Flute Day may be found here.